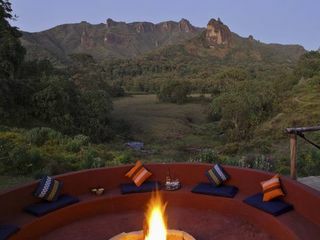 The Bale Mountains, famed for its endemic wildlife, has previously only been accessible with rather basic accommodation, based either in utilitarian Park accommodation or camping (our usual preference). 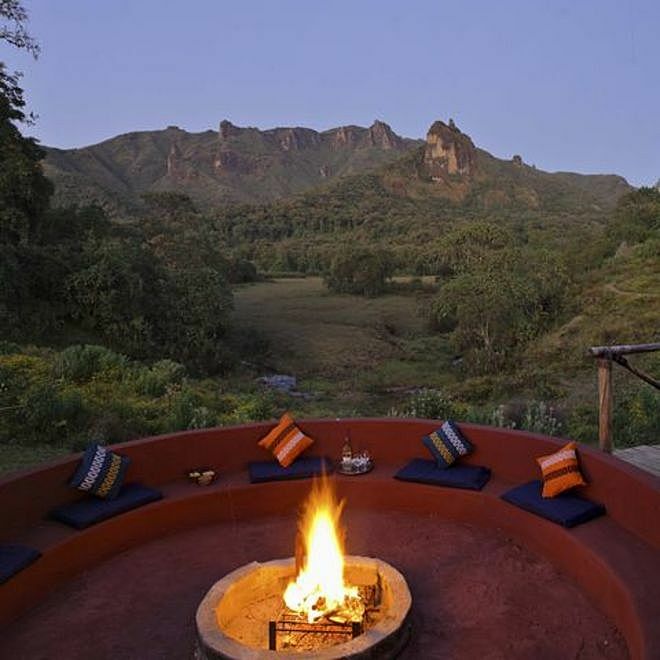 The new Bale Mountain Lodge opened in 2014 with its feet planted firmly at the other end of the spectrum as an upmarket eco lodge with resident naturalist guides. The central lodge nestles into the hillside so as to minimize the visual impact on the surrounding area, and is built using local slate-grey coloured stone. The attached dining room is a ‘tukul’ in style featuring a thatched roof, with a sweep of windows maximizing the amazing views of the natural clearing and mountain range beyond. 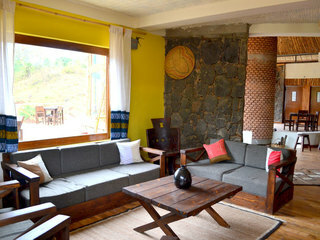 A central sunken fireplace creates a snug area in which to relax during the chillier mountain evenings. 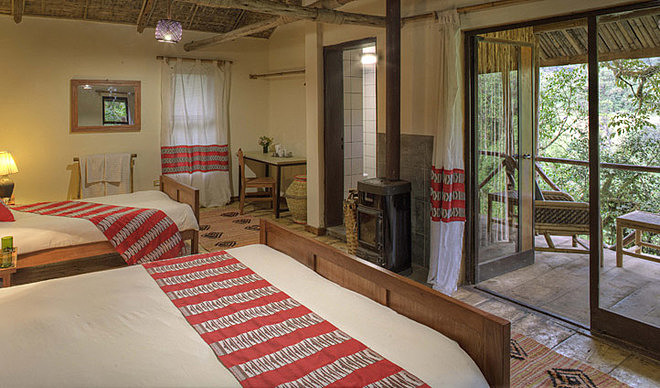 All lodge ‘menyetta-bets’ (guest-rooms) are spacious and comfortable with a wood burning stove in each room to provide warmth and a cosy atmosphere. 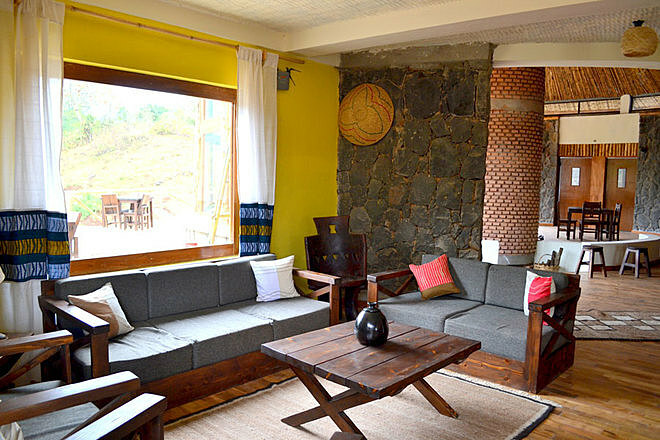 Furniture is being manufactured locally using sustainable wood, and all our soft furnishings are locally sourced and are of the highest quality with an emphasis on comfort with Ethiopian style. We visited the location prior to opening. 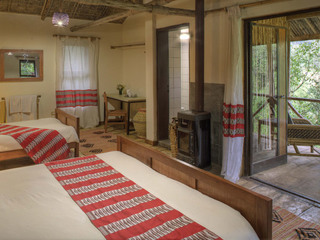 The lodge is in a superb location, with very good wildlife in the immediate vicinity. 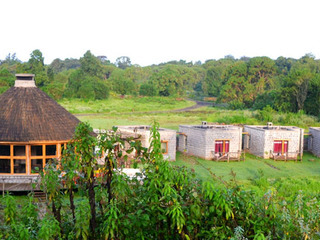 It is also convenient for day trips out to the Sanetti Plateau. 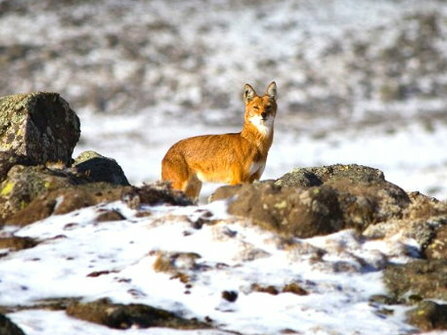 60% of the remaining Ethiopian Wolves, the world’s most rare canid, are found within the Bale Mountains National Park; other species include the endemic Mountain Nyala, Menelik’s Bushbuck, various rodent species and numerous endemic amphibians and reptiles, plus lions, rare Giant Forest Hogs and significant numbers of endemic or rare bird species.